A thunderstorm, also known as an electrical storm, a lightning storm, or a thundershower, is a type of storm characterized by the presence of lightning and its acoustic effect on the Earth’s atmosphere known as thunder. Thunderstorms occur in association with a type of cloud known as a cumulonimbus. They are usually accompanied by strong winds, heavy rain and sometimes snow, sleet, hail, or, in contrast, no precipitation at all. 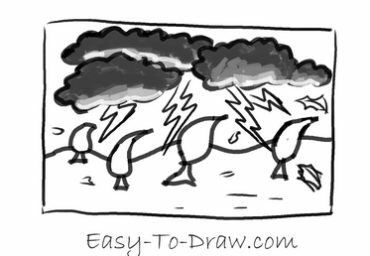 Thunderstorms may line up in a series or rainband, known as a squall line. Strong or severe thunderstorms may rotate, known as supercells. 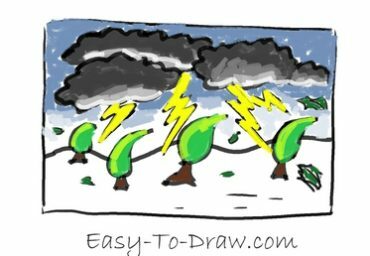 While most thunderstorms move with the mean wind flow through the layer of the troposphere that they occupy, vertical wind shear causes a deviation in their course at a right angle to the wind shear direction. Here are the steps to draw Cartoon Thunderstorm. Enjoy! 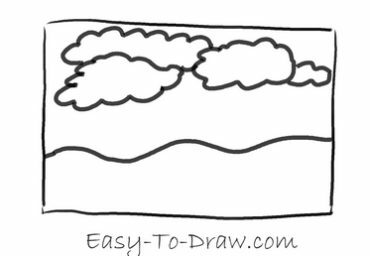 Step 1: Draw a skyline and some clouds in the sky. 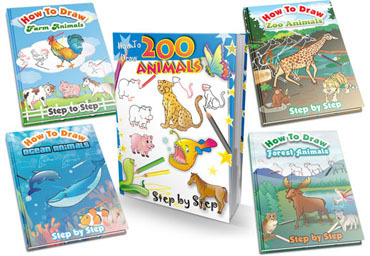 Step 2: Draw some trees on the ground. 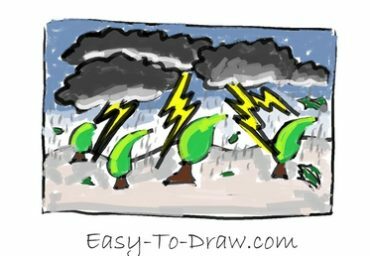 Step 3: Draw some lightning from the clouds towards the trees. 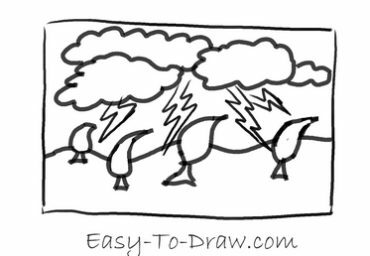 Step 4: Color the clouds grey with layers. Step 5: Color the lightening yellow. Step 6: Color the leaves green and the trunk brown. Step 7: Color the sky blue. Step 8: Color the ground grey. 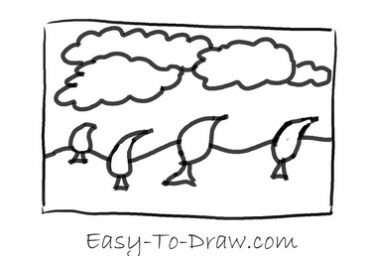 Step 9: Draw some raindrops in the sky. ZIP went the lightning! 1-2-3-4-5-6-7-8 BAROOOOOOOOOM! ZIP went the lightning! 1-2-3-4-5-6-7 BOOM BA-BOOOOOM! ZIP went the lightning! 1-2-3-4-5 KA- BANG BOOOOAROOOOM! ZIP went the lightning! 1-2-3-4 KA-BA-BOOOOOOOOOOM! ZIP went the lightning! 1-2-3 RRRUMBLE! CRASH! 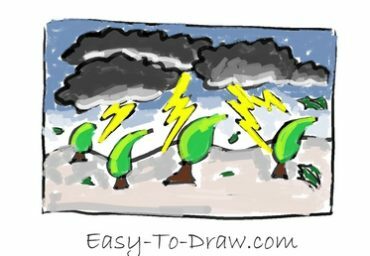 Thunderstorm Video Drawing Tutorial for kids!